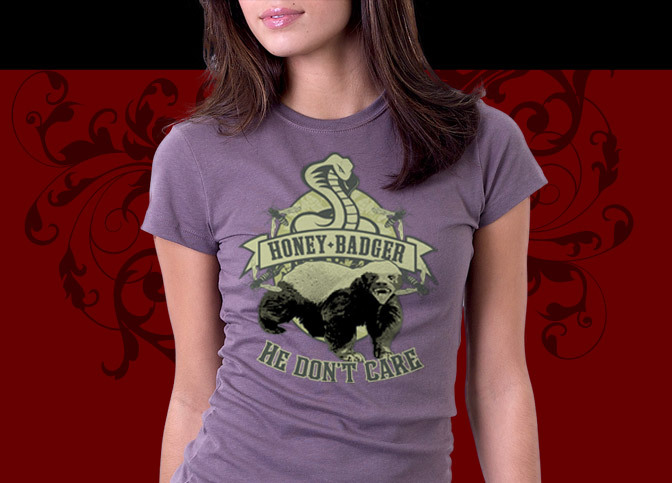 Honey Badger don't care. He gets stung by all those bees and cobra but he don't give a s#!+ He don't care. He's a crazy nastyassed honey badger and he takes what he wants. Look at that honey badger eating a snake, Eww that's nasty. The honey badger. This is a beautiful shirt design that looks great on any color or style shirt you choose. The internet video has caught on like wildfire and for obvious reasons, it's freakin' hilarious!